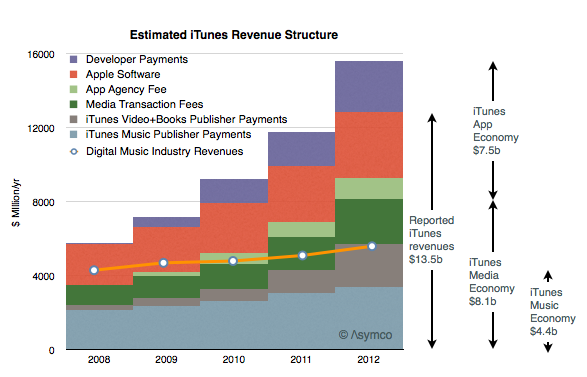 The iTunes Music economy was $4.3 billion of which $3.4b was paid to music labels. Looking at growth, these estimates imply that App revenues are growing at about 50% while iTunes Music is at 10% and Video+other at 90%. Looking at profitability, there is potential for operating margin in Apple Software and App Agency Fees and perhaps some of the Media Transaction Fees (exploded wedges above). Historically, Apple suggested that their App and Media stores ran at break-even but that may no longer be the case. 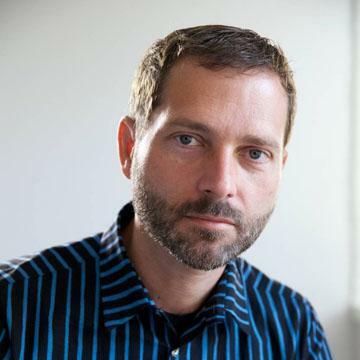 Operating margins from Software may be significant. 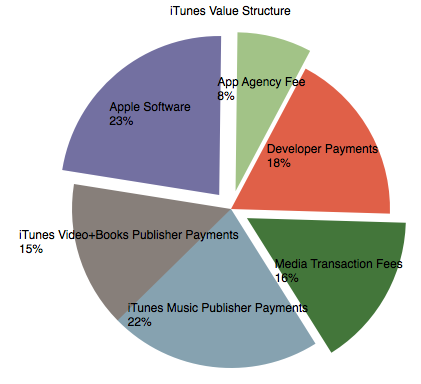 My estimate for the iTunes Music payments to publishers is equivalent to about 60% of total industry revenues.